My parents live part time in South Carolina, and when they built their new house over a year ago they gave me the loft as my bedroom. Due to my work schedule I don’t get to go down there that often. 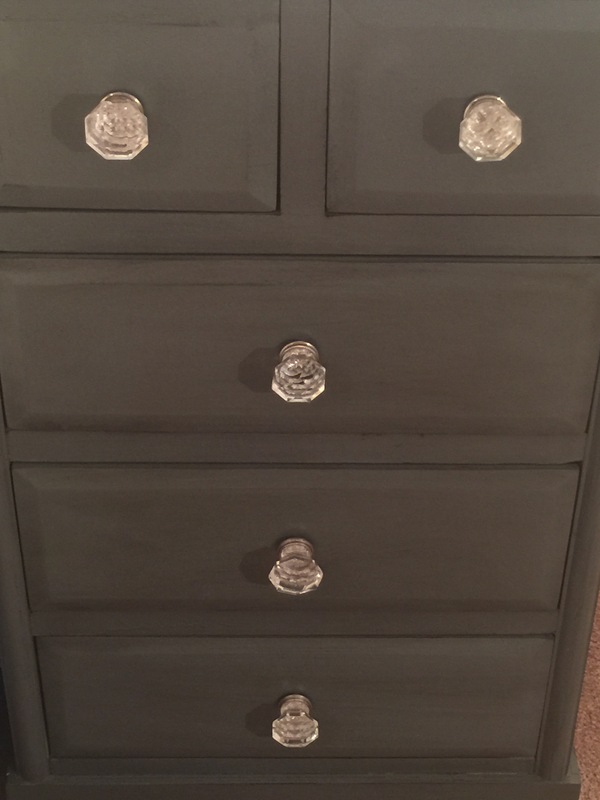 Last summer I picked out furniture and the color scheme (gray and yellow). The skeleton came together over this past year, and on my recent vacation we went shopping to pick out some finishing touches. 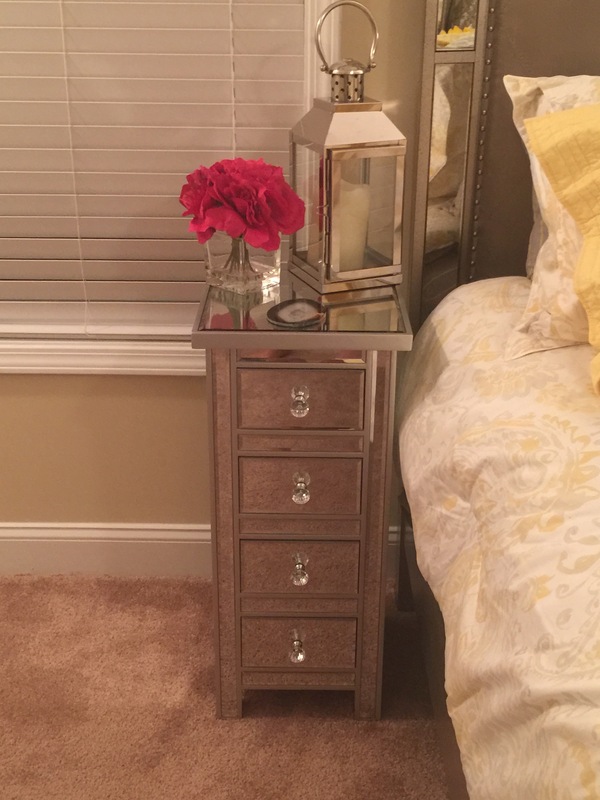 The bed and dresser are from a local furniture store in SC, and I fell in love with the mirrored style right away. 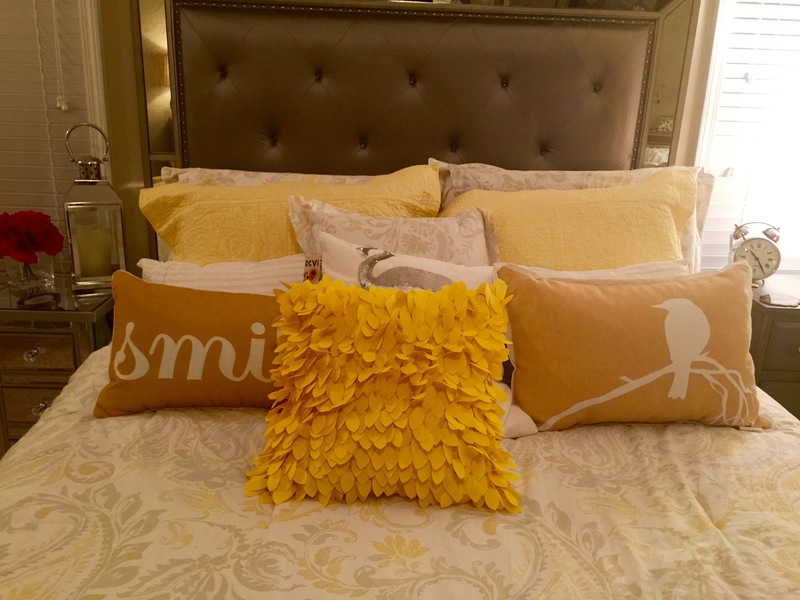 All of the pillows and the comforter are from Home Goods, as are both of the night stands. 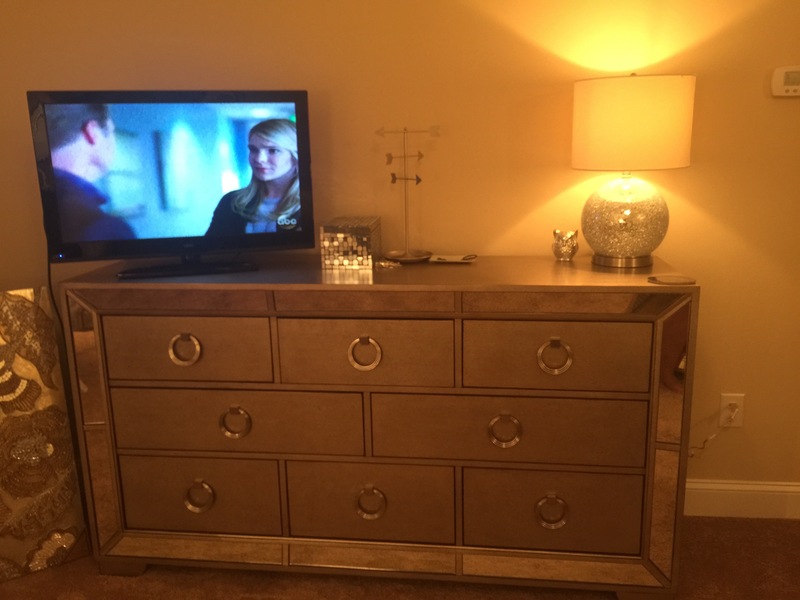 The nightstand on the right I picked up first, and it had awful drawer pulls. 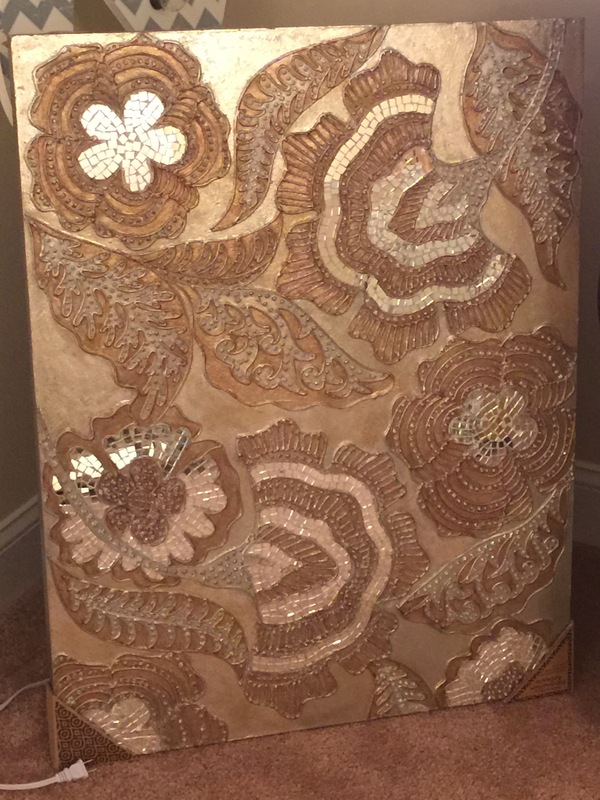 I instead found some on sale at Anthropology, and the piece now matches the decor much better! 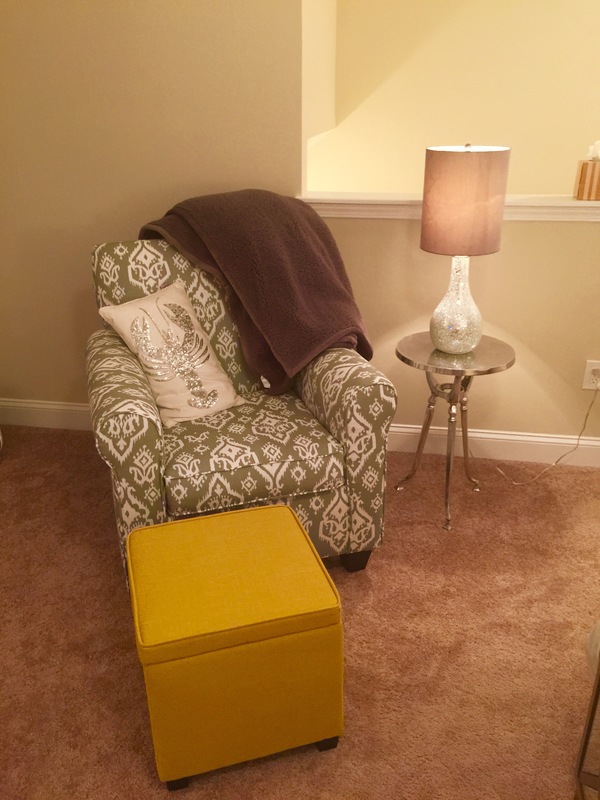 Last year when I was shopping I also found this gray chair at Home Goods, along with the lamp and table pictured below. 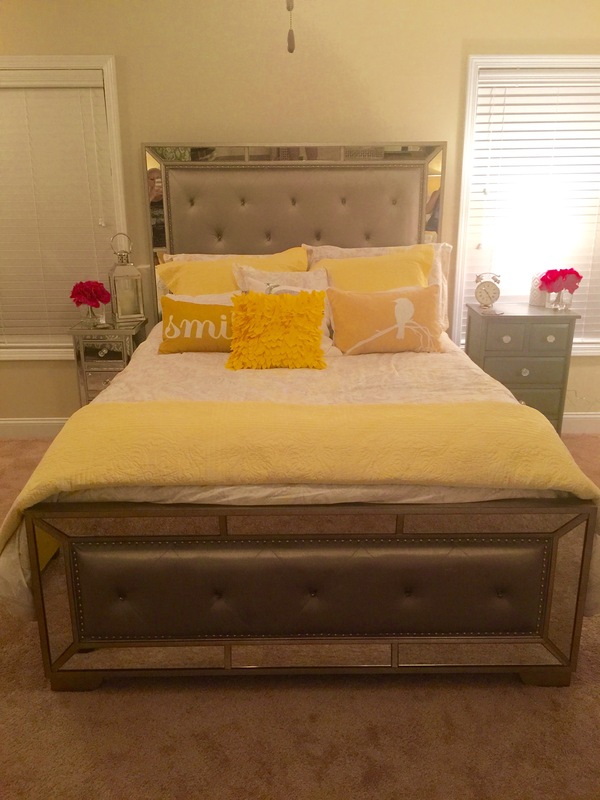 When I went back last week I found that ottoman in Target, and thought it would highlight the yellow on the bed. There was one wall that had me stumped. I thought to put a large mirror there, but considering everything else is so heavily mirrored, I instead opted for a desk. 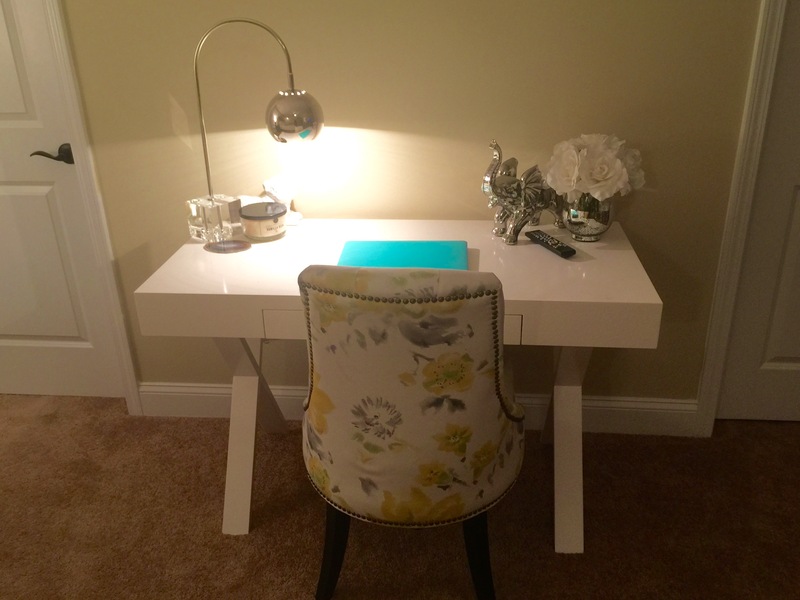 I found a white desk at World Market, and it wound up being their last in store. We got it heavily discounted (score!) and picked up one of their dining chairs that had a fun pattern for the room. Click on the words “desk” and “dining chair” for links! 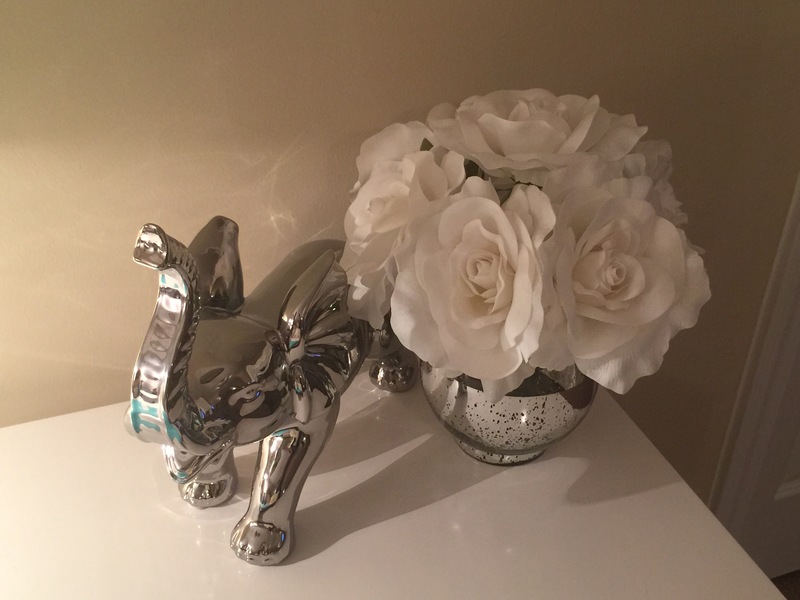 The elephant, lamp and flowers are of course, from Home Goods. I hope you enjoyed my room tour and design thoughts!